HBO’s Emmy Award-winning comedy series Veep will end its run after Season 7. This move comes just months after the show was renewed for a seventh season. Veep has been nominated for a Primetime Emmy for six years in a row and won for seasons 4 and 5. Star Julia Louis-Dreyfus has won five consecutive Primetime Emmys for Best Actress for playing the role of Selina Meyer. She’s nominated for Best Actress in a Comedy again this year. 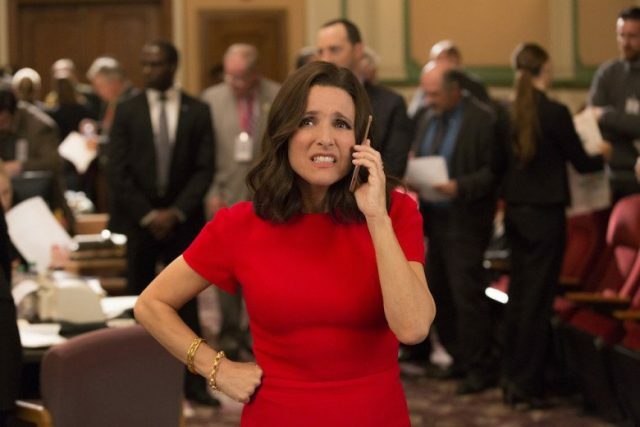 The Emmy-winning comedy series Veep concluded its ten-episode sixth season Sunday, June 25. The show stars Emmy and Screen Actors Guild Award winner Julia Louis-Dreyfus as Selina Meyer, the former vice president and president, who is struggling to navigate uncharted political territory. The ensemble cast also includes two-time Emmy winner Tony Hale, Emmy nominee Anna Chlumsky, Emmy nominee Matt Walsh, Reid Scott, Timothy Simons, Kevin Dunn, Emmy nominee Gary Cole and Sam Richardson. Veep was created by Armando Iannucci, executive produced by David Mandel, Frank Rich, Julia Louis-Dreyfus, Lew Morton and Morgan Sackett. What do you guys think of Veep coming to an end after one more season? We want to hear from you. Leave us your comments below or tweet them to us @ComingSoonnet.